Upgrade your presentations from flip charts to projector slides by these BenQ Full HD 3D Projector. With its HDMI input, connection to any computer or high definition device is possible. This projector offers WXGA (1280 x 800) resolution with 3000 ANSI Lumens and a 13,000:1 contrast ratio for brighter, whiter whites, darker blacks, and overall image sharpness. It has Total Cost of Ownership (TCO) and optimized projection through dynamic power saving that can save up to 70% of lamp power consumption and lower maintenance costs. In addition, this projector is built with the latest DLP technology to support 3D functionality, allowing schools to bring an immersive learning experience to their students with 3D glasses and 3D content. 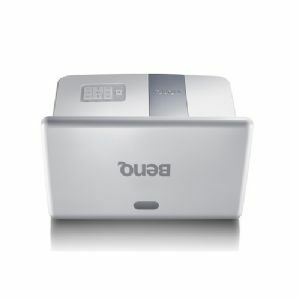 Buy BenQ Full HD 3D Projector now! Optimize 64"-120" / Max up to 300"